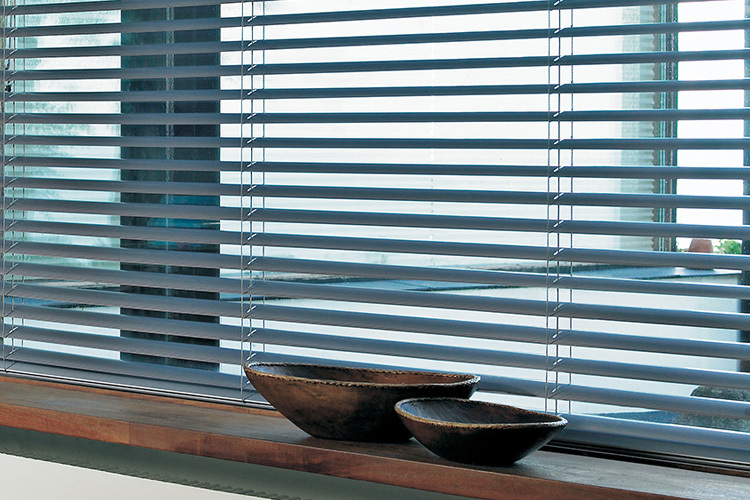 Venetian Blinds are a popular window treatment for both internal and external windows. Able to provide vision, with heat and glare control to external windows and privacy to internal windows Aluminum Venetians are available in Micro (15mm), Slimline (25mm), Perforated Slimline or Wideline (50mm) blades. Timber Venetian are available in a wide range of natural timbers (western red cedar or hardwood options), and numerous man made compositions.